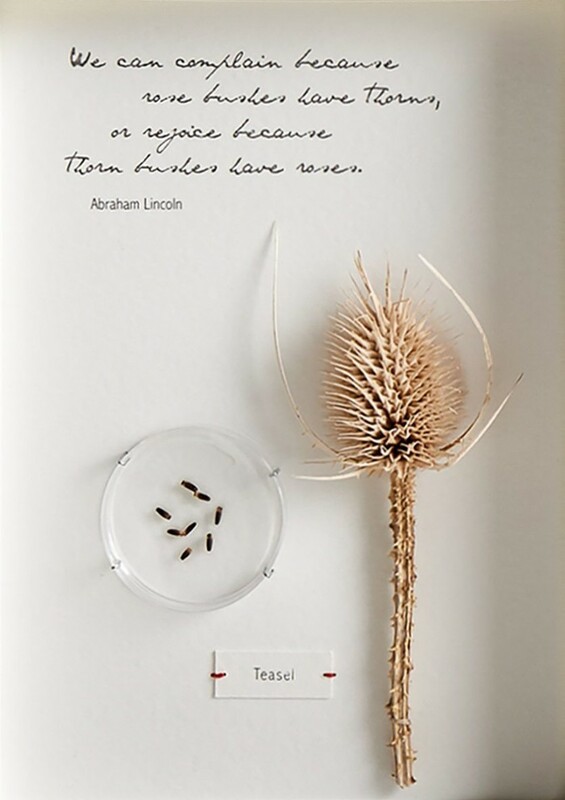 The ‘Thorns’ frame features an inspirational quote by Abraham Lincoln, naturally preserved teasel accompanied by seed specimens and a sewn on label. 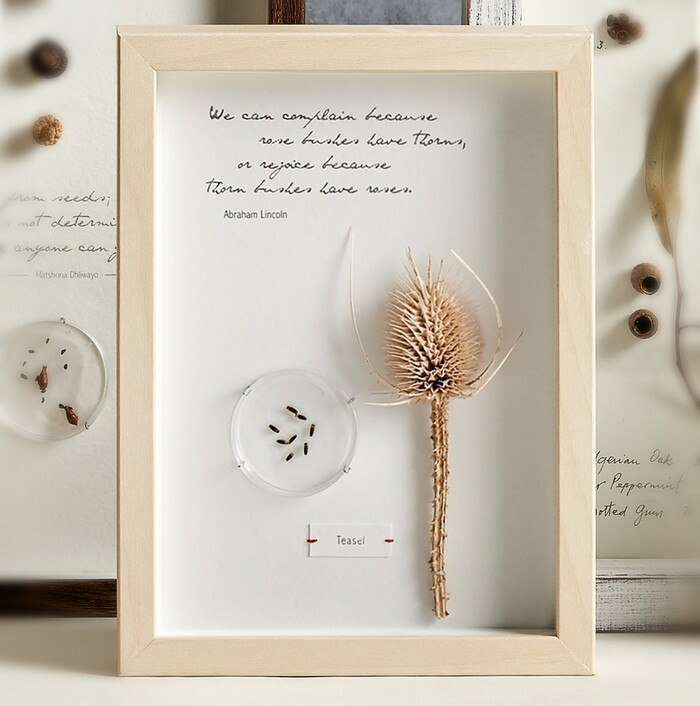 Materials: Wooden frame with acrylic, naturally dried herbaria as labelled, threads. Visit PressGalleria.com.au to view the full range of designs. All payments to be settled prior to dispatch of order.